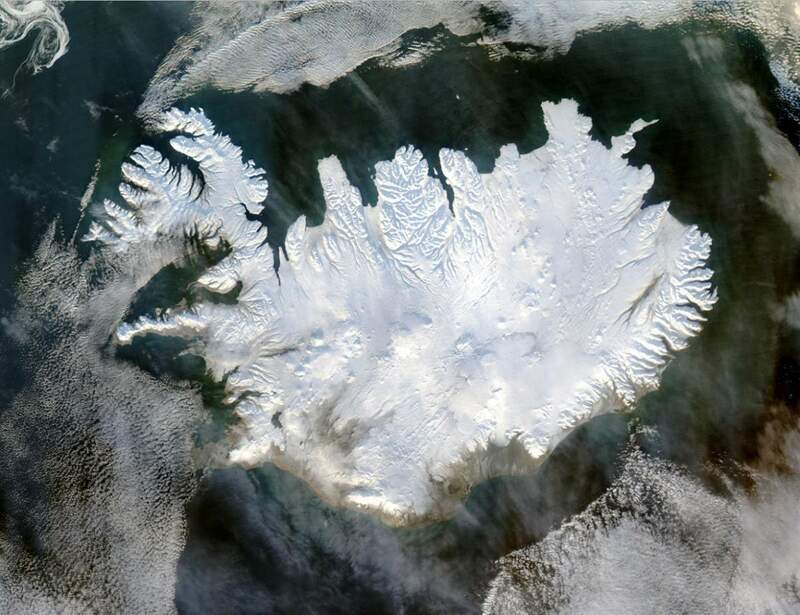 Iceland’s main island possesses almost all of the country’s area and population. The island has extensive volcanic and geothermal activity. It was extensively forested when it was first settled. When the Vikings first arrived in the 9th century, the Nordic island was covered in 25 to 40 percent forest, compared to 1% in the present day. Today, the Icelandic Forest Service has taken on the mammoth task of bringing back the woodlands. Iceland is warmed by the Gulf Stream and has a temperate climate, despite a high latitude just outside the Arctic Circle. 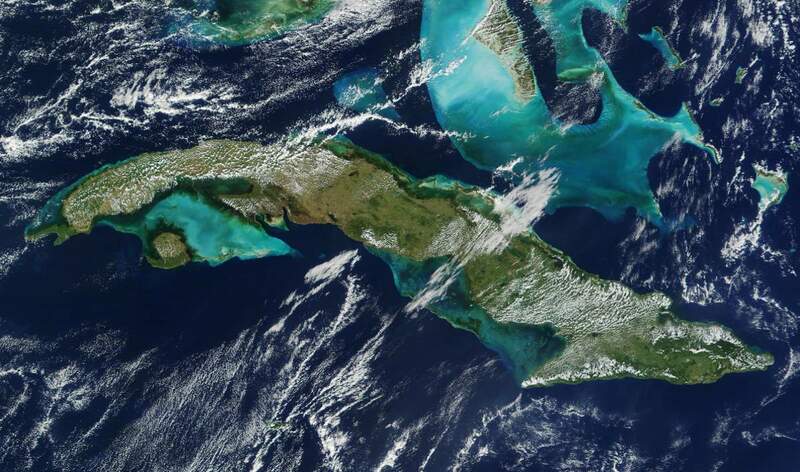 Cuba is an archipelagoNotes 1 of islands located in the northern Caribbean Sea at the confluence with the Gulf of Mexico and the Atlantic Ocean. Its main island, named Cuba, is the 17th largest island in the world. It is 1,250 km (780 mi) long, constituting most of the nation’s land area. The local climate is tropical, as the entire island is located in the south of the Tropic of Cancer. Newfoundland is a large Canadian island off the east coast of the North American mainland. It is Canada’s fourth-largest island. It is primarily characterized by having a subarctic (Köppen Dfc) or a humid continental climate (Köppen Dfb). King Henry VII of England referred to the land discovered by John Cabot in 1497 as the “New Found Launde,” thus helping to coin the name of Newfoundland. Luzon is the largest and most populous island in the Philippines. It is the economic and political center of the nation. Philippines’ capital city, Manila, as well as Quezon City, the country’s most populous city, is located in the Luzon island. Luzon sits at the northernmost tip of the Philippines, an archipelago of more than 7,000 islands sitting at the eastern edge of Southeastern Asia between the South China Sea and the Philippine Sea. The exact number of islands is still in dispute: the traditional count of 7,107 islands was updated to as many as 7,641 in 2016. Luzon is famous for its rugged mountains, sparkling beaches, spectacular rice terraces, as well as an abundance of volcanoes. At least 25 volcanoes sit on Luzon Island itself, with five more on islands north of Luzon. One of the most active volcanoes in the world is the Mayon volcano located in the south of the island. Mayon began a new eruptive phase on January 13, 2018, with a steam-driven eruption sending gray plumes high into the air. Mayon sits off the lower edge of the image below. The North Island is one of the two main islands of New Zealand, separated from the slightly larger but much less populous South Island by Cook Strait. Java is an island of Indonesia. With a population of over 141 million, Java is home to 56.7 percent of the Indonesian population and is the world’s most populous island. The Indonesian capital city, Jakarta, is located on western Java. Four of Indonesia’s eight UNESCO world heritage sites are located in Java: Ujung Kulon National Park, Borobudur Temple, Prambanan Temple, and Sangiran Early Man Site. Java is famous for its volcanoes, which run through the island’s center like a spine. 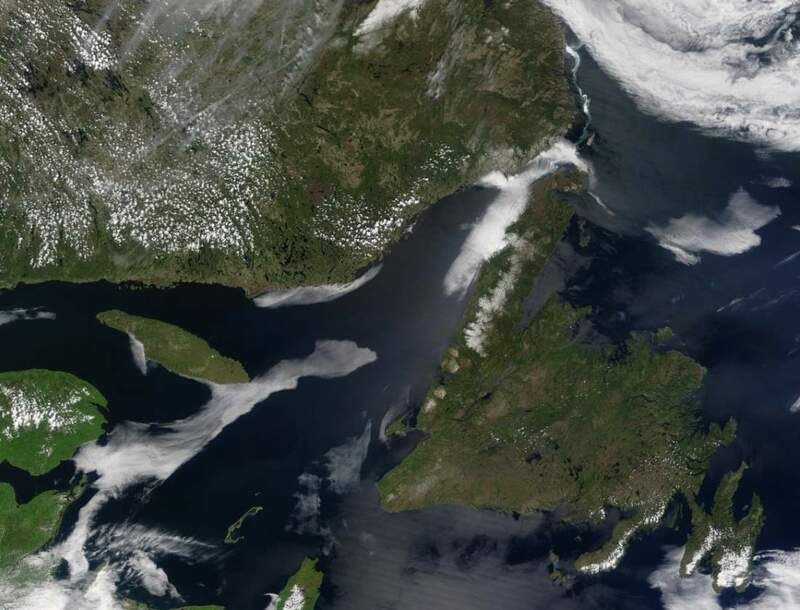 Many are active, intermittently spewing plumes of ash into the atmosphere. But the white areas surrounding the volcanoes in the image do not have a fiery origin: they are clouds. However, they were influenced by the volcanic topography. This image was acquired on May 19, 2017. At 12:51 p.m. local time (05:51 Universal Time), the Visible Infrared Imaging Radiometer Suite (VIIRS) on Suomi NPP captured the image of clouds ringing the volcanoes. Source: NASA Earth Observatory image by Joshua Stevens, using MODIS and VIIRS data from LANCE/EOSDIS Rapid Response. Story by Kathryn Hansen. 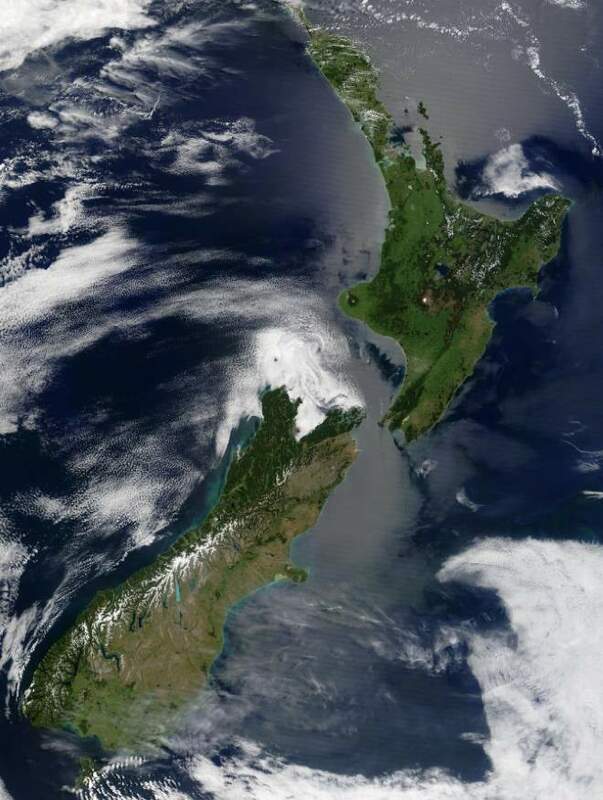 The South Island is the larger of the two major islands of New Zealand. It is divided along its length by the Southern Alps, the highest peak of which is Aoraki/Mount Cook at 3,724 meters (12,218 ft), making it 9th-highest island, with the high Kaikoura Ranges to the northeast. There are eighteen peaks of more than 3000 meters (9800 ft) in the South Island. Sulawesi, formerly known as Celebes is an island in Indonesia which includes four peninsulas: the northern Minahasa Peninsula; the East Peninsula; the South Peninsula; and the South-east Peninsula. Ellesmere Island is part of the Qikiqtaaluk Region in the Canadian territory of Nunavut. It lies within the Canadian Arctic Archipelago and is separated to the east by Nares Strait from Greenland, to the west by Eureka Sound and Nansen Sound from Axel Heiberg Island, and to the south by Jones Sound and Cardigan Strait from Devon Island. Ellesmere Island contains Canada’s northernmost point, Cape Columbia at 83°6’41”N. rior to July 2008, only five ice shelves remained in the Canadian Arctic: Serson, Petersen, Milne, Ward Hunt, and Markham. With an estimated age of 4,500 years, these ice shelves were the remnants of a once-massive “glacial fringe” that explorer Robert Peary witnessed in his trek along the Ellesmere Island coast in the early twentieth century. In July 2008, these shelves began disintegrating rapidly. By late August, Ellesmere ice shelves had lost a total of 214 square kilometers (83 square miles). 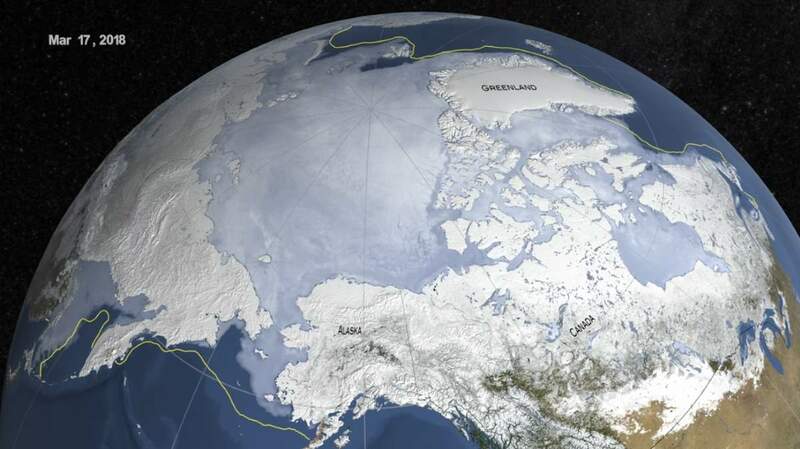 A research team led by Derek Mueller at Trent University, and Luke Copland at the University of Ottawa, documented the ice shelves’ retreats through satellite images and photos. The Moderate Resolution Imaging Spectroradiometer (MODIS) on NASA’s Aqua satellite captured this image of Ellesmere Island on July 22, 2008. This NASA image created by Jesse Allen, using data provided courtesy of the MODIS Rapid Response team. Caption by Michon Scott. Great Britain is the largest of the British Isles, the largest European island, and the ninth-largest island in the world. 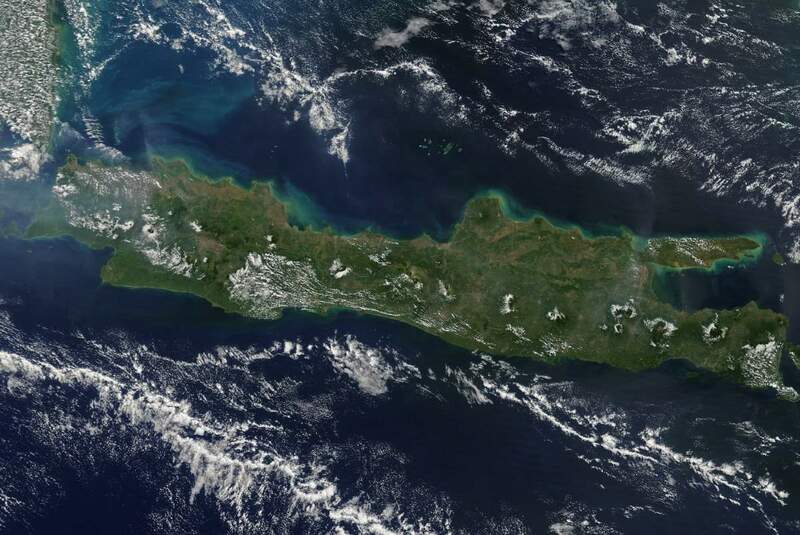 In 2011, the island had a population of about 61 million people, making it the world’s third-most populous island after Java in Indonesia and Honshu in Japan. 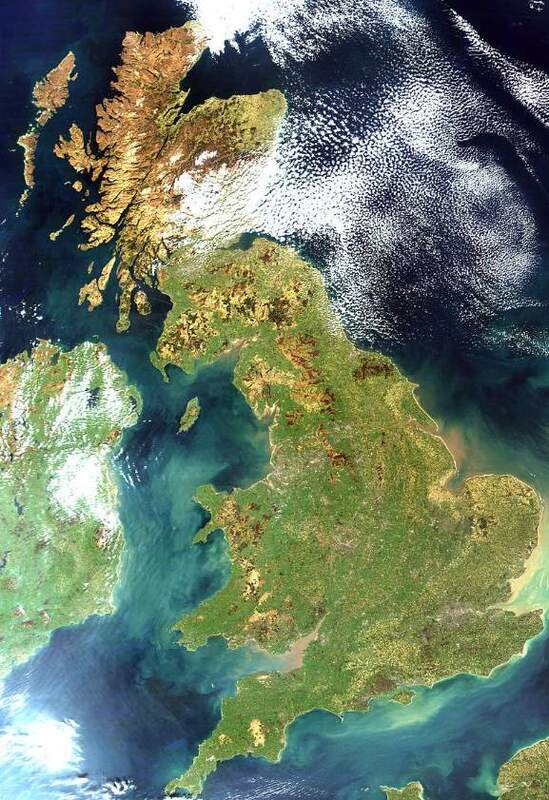 Satellite image of Great Britain and Northern Ireland in April 2002. The island of Ireland is situated to the west of it, and together these islands, along with over 1,000 smaller surrounding islands, form the British Isles archipelago. Canada’s second-largest island, Victoria Island is in the Canadian Arctic Archipelago. It straddles the boundary between Nunavut and the Northwest Territories of Canada. It contains the world’s largest island within an island within an island. The island is named after Queen Victoria, the Canadian sovereign from 1867 to 1901. In the Canada 2006 Census the population of Victoria Island of the island was 1,875; 1,477 in Nunavut and 398 in the Northwest Territories. Victoria Island from space. In August 2016, tourists on a luxury cruise departed Seward Alaska and steered toward the waterways of the Canadian Arctic Archipelago. The excursion is one example of the growing human presence in an increasingly ice-free Northwest Passage-the famed high-latitude sea route that connects the northern Atlantic and Pacific oceans. In mid-August 2016, the southern route through the Passage was nearly ice-free. 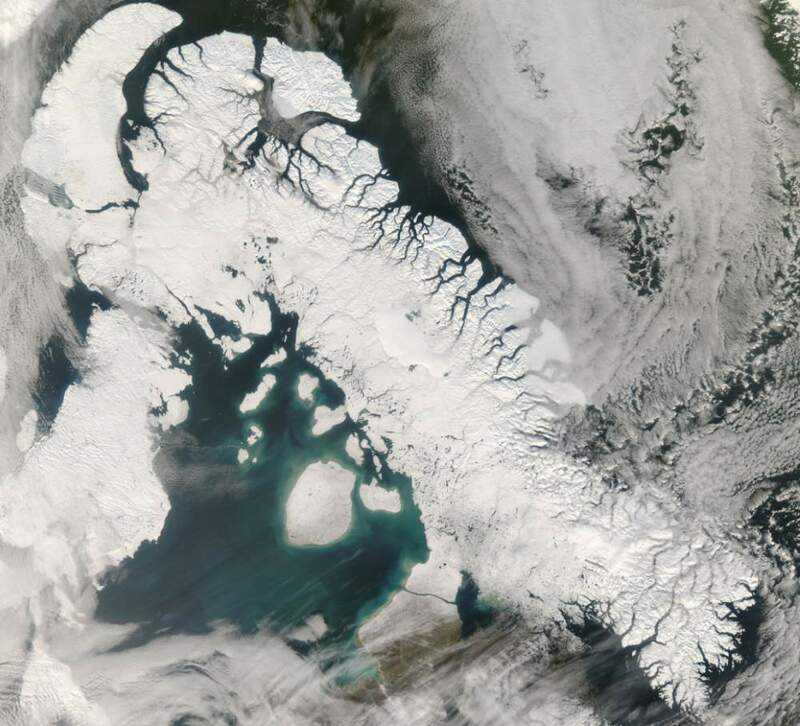 For most of the year, the Northwest Passage is frozen and impassible. But during the summer months, the ice melts and breaks up to varying degrees. The Visible Infrared Imaging Radiometer Suite (VIIRS) on the Suomi NPP satellite captured the top image of the Northwest Passage on August 9, 2016. A path of open water can be traced along most of the distance from the Amundsen Gulf to Baffin Bay. Credit: NASA image by Jeff Schmaltz, LANCE/EOSDIS Rapid Response, using VIIRS data from the Suomi National Polar-orbiting Partnership satellite. Honshu, literally means “Main island/Main province” is the largest and most populous island of Japan. It is home to most of the country’s major cities and cultural sites. On the east coast is the Japanese capital, Tokyo, a busy global hub for finance, industry, fashion, and cuisine. Mount Fuji, an iconic, snow-capped volcano, lies southwest of the city. In central Honshu, the city of Kyoto is famed for its Zen temples, gardens lined with cherry blossoms and traditional geisha entertainment. 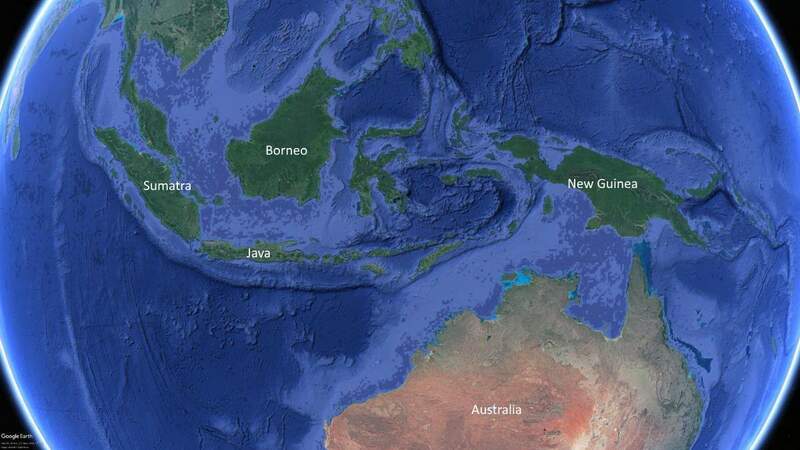 The island is roughly 1,300 km (810 mi) long and ranges from 50 to 230 km (31 to 143 mi) wide. Mountainous and volcanic, Honshu experiences frequent earthquakes which can cause devastating tsunamis. The highest peak of the island is the active volcano Mount Fuji at 3,776 meters (12,388 ft), which makes Honshu the world’s 7th highest island. There are many rivers, including the Shinano River, Japan’s longest. 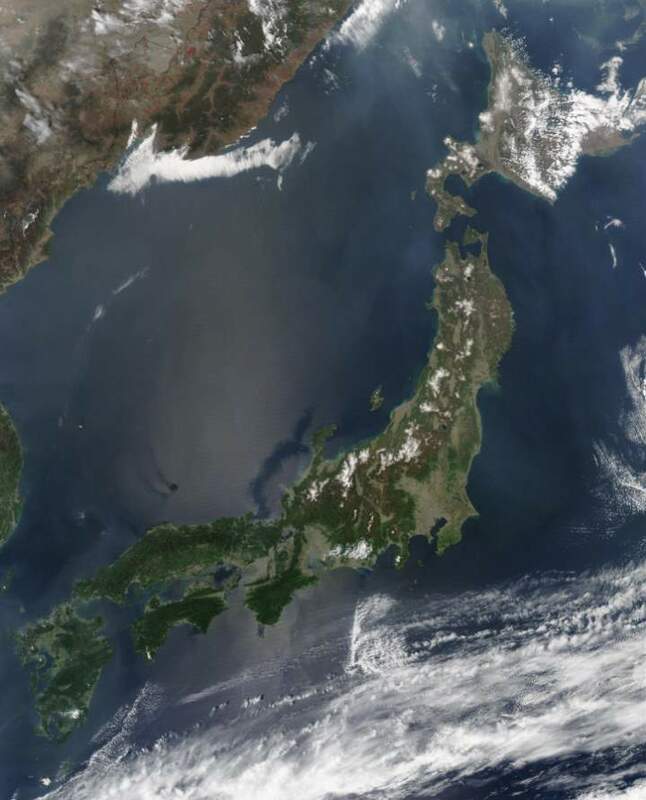 The Japanese Alps run the length of Honshu, dividing the northwestern (Sea of Japan) shore from the southeastern (Pacific or Inland Sea) shore; the climate is generally humid subtropical in the southern and coastal parts of the island and humid continental in the northern and inland portions. 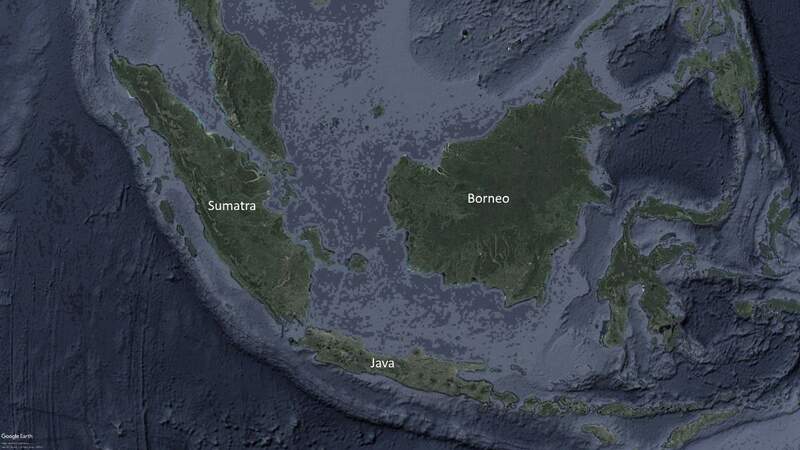 Sumatra is a large Indonesian island in Southeast Asia that is part of the Sunda Islands. It is known for its rugged tropical terrain, wildlife and smoldering volcanoes. The island has a wide range of plant and animal species but has lost almost 50% of its tropical rainforest in the last 35 years. On 26 December 2004, the western coast and islands of Sumatra, particularly Aceh province, were struck by a tsunami following the Indian Ocean earthquake. This was the longest earthquake recorded, lasting between 500 and 600 seconds, and also one of the most powerful and deadly earthquakes in the recorded history. The resulting tsunami, with waves up to 30 meters (100 ft) high, caused up to a quarter of a million deaths. Baffin Island is the largest island in Canada. Its population is only about 11,000 (2007 estimate). The island has been continuously inhabited by Inuit peoples for centuries. Named after English explorer William Baffin (c. 1584 – 23 January 1622), who primarily known for his attempt to discover a Northwest Passage from the Atlantic to the Pacific, it is likely that the island was known to Pre-Columbian Norse explorers. 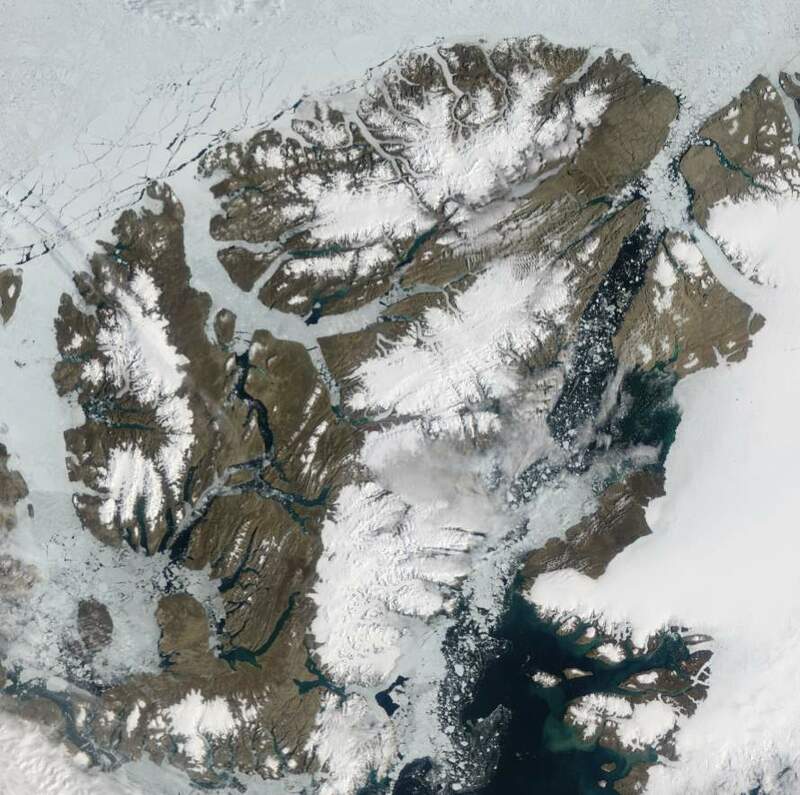 To the Inukitut-speaking peoples of the Canadian Arctic, northern Baffin Island is Sirmilik, “the place of the glaciers.” When Canada established the area as a National Park in 2001, they gave it the same name. 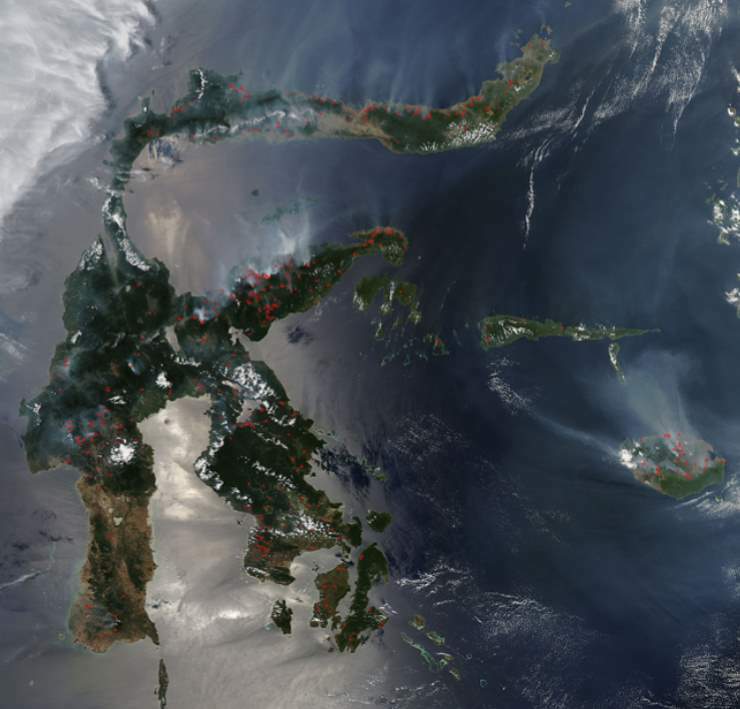 This natural-color image was captured by the Moderate Resolution Imaging Spectroradiometer (MODIS) on NASA’s Aqua satellite on October 2, 2008. NASA image by Jeff Schmaltz, MODIS Rapid Response Team. Caption by Rebecca Lindsey. 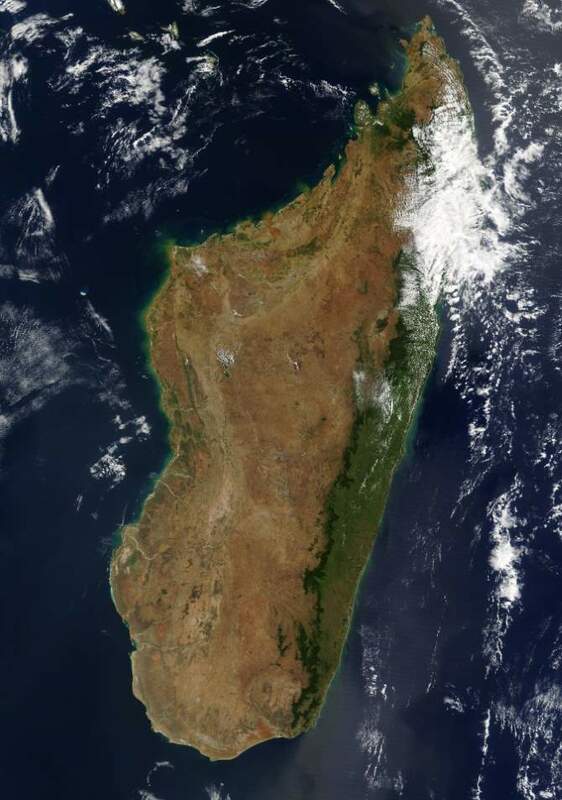 Madagascar is a huge island nation off the southeast coast of Africa. It’s home to thousands of animal species, such as lemurs, found nowhere else, plus rainforests, beaches, and reefs. Borneo, a giant, rugged island (the largest in Asia) in Southeast Asia’s Malay Archipelago, is shared by the Malaysian states of Sabah and Sarawak, Indonesian Kalimantan and the tiny nation of Brunei. It is known for its beaches and ancient, biodiverse rainforest, home to wildlife including orangutans and clouded leopards. AntipodalNotes 2 to an area of Amazon rainforest, Borneo is itself home to one of the oldest rainforests in the world. New Guinea is a large island off the continent of Australia. The eastern half of the island is the major land mass of the independent state of Papua New Guinea. The western half, referred to as Western New Guinea or West Papua or simply Papua, formerly a Dutch colony, was annexed by Indonesia in 1962 and has been administered by it since then. 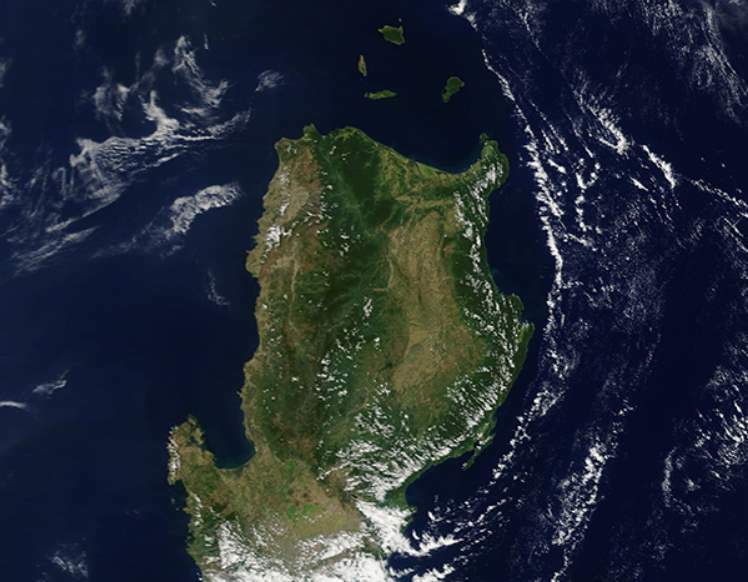 The western half of the island of New Guinea contains the highest mountains in Oceania, rising up to 4,884 meters (16,024 ft) high (Puncak Jaya). The highest peaks contain permanent equatorial glaciers, which have been retreating since at least 1936 due to the global warming. Except in high elevations, most areas possess a warm humid climate throughout the year, with some seasonal variation associated with the northeast monsoon season. New Guinea has an immense biodiversity. A high percentage of New Guinea’s species are endemic, and thousands are still unknown to science. Australia, New, Guinea, Borneo, Sumatra and Java. Greenland is the largest island on Earth. Australia and Antarctica, although larger, are generally considered to be continental landmasses rather than islands. The whole island is an autonomous Danish territory between the North Atlantic and Arctic oceans. Much of its land surface is covered in ice. Most of its small population lives along the ice-free, fjord-lined coast, particularly in the southwest. Its northerly position, largely above the Arctic Circle, results in natural phenomena such as summer’s midnight sun and winter’s Northern Lights. 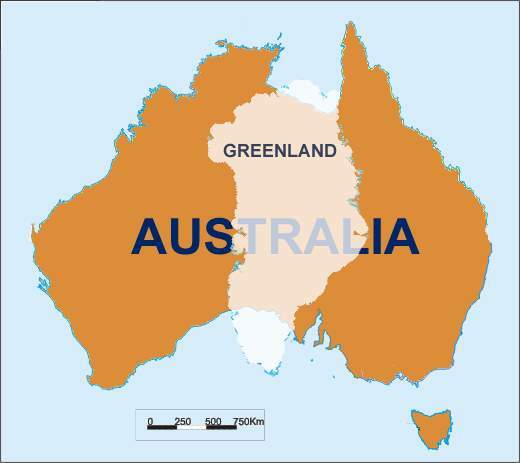 Yes, Greenland may be the largest island in on Earth, but it’s way smaller than Australia, which has a land area of 7,617,930 km2 (2,941,300 sq mi). If you look at your map, you’ll probably notice that Greenland is much bigger than Australia, but that’s not true: in fact, it’s impossible to transform perfectly the three-dimensional world into two-dimensional surfaces like paper or computer screen. The standard maps we see every day use Mercator Projection, a cylindrical map projection presented by the Flemish geographer and cartographer Gerardus Mercator in 1569. It is adequate for mapping countries close to the equator. But, it distorts the size of the lands (they look bigger than they are) as the latitude increases from the Equator to the poles. The Mercator projection portrays Greenland as larger than Australia; in actuality, Australia is more than three and a half times larger than Greenland. An archipelago is a group of islands closely scattered in a body of water. The word archipelago is derived from the Greek arkhi-, “chief”, and pélagos, “sea” through the Italian arcipelago. In Italian, possibly following a tradition of antiquity, the Archipelago was the proper name for the Aegean Sea and, later, since the Aegean sea is remarkable for its large number of islands, usage shifted to refer to a cluster or collection of islands. In geography, the antipode of any spot on Earth is the point on Earth’s surface diametrically opposite to it; the antipodes of a region similarly represent the area opposite it. A pair of points antipodal to each other are situated such that a straight line connecting the two would pass through Earth’s center. “How Newfoundland and Labrador Got Its Name” on ToughtCo.